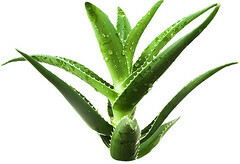 Obtained from the leaves of the aloe vera plant, aloe vera gel has anti-inflammatory properties and promotes growth of new cells, allowing skin to heal rapidly and naturally with minimal scarring. Aloe vera gel contains anti-oxidants and vitamins C and E that can help keep skin moisturized and improves its natural firmness. An all-natural gel that soothes and heals skin, and helps prevent scarring.